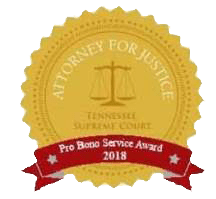 Karnes Legal Services,(KLS) founded in 1996, has offered clients in Tennessee and Virginia an aggressive civil trial practice. Karnes Legal Services is a general practice law firm; with an emphasis on litigation. Karnes Legal Services was founded on the belief that God is the true Lawgiver and above all else He is just. KLS’ mission is to ensure that the law and justice are served. This requires knowledge, experience, civility, fairness, judgment, integrity, honesty, wisdom, common sense and a commitment to equal justice under the law. Ms. Karnes combines the ability to listen, compassion, sensitivity to the client’s concerns, flexibility and a belief in the strength and sanctity of the family unit with her commitment to excellence by upholding the utmost standards of morals and ethics. Her tenacity and aggressive representation produce results with a personal approach that has been equated to the concept of “velvet wrapped around steel”. You have the right to the best legal assistance; select yours wisely. KLS’ Federal Civil Litigation involves constitutional issues and religious rights. Ms. Karnes litigates in several Federal Courts and is frequently associated by other counsel, both local and out of state, on Federal matters. She practices anywhere in Tennessee or Virginia, and can provide services in other states as well. Lanis and the staff at Karnes Legal Services have served me well and are the best at shooting you straight. I was recommended to Lanis by a friend and I would recommend the attorneys at Karnes Legal Services to you. They treat you like a person and are tigers in court.